The Pali suttas are the oldest complete sources for the original teachings of the Buddha, who lived and taught in India in the fifth century BCE. 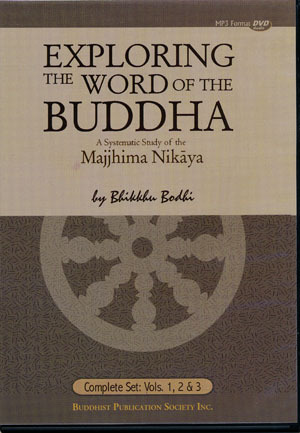 The talks on the CD focus on the suttas as given in the translation of the Majjhima Nikaya, The Middle Length Discourses of the Buddha. Ven. Bhikkhu Bodhi's talks reveal the scope and depth of the Buddha's original teachings, which cover a wide variety of topics ranging from family life and marriage to ethics, mind-training, insight and liberation. The talks are suitable both for relative newcomers to the Buddha's teachings as well as for more advanced students who wish to study the Dhamma from its oldest sources. 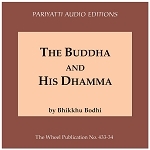 This lecture series is also available as a download from the Bodhi Monastery Website.